Edinburgh is an enchanting city to explore, from the charming old town with its dark closes and cobbled streets, to the magnificent New Town and its Georgian elegance. 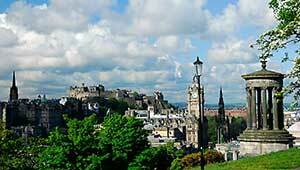 There is world class shopping along Princes Street, notably Jenners, George Street and don’t forget Harvey Nichols. Many areas have unique shops and restaurants, including Morningside, Bruntsfield, Stockbridge and Grassmarket and Victoria Street. Jump on an open top bus and seep up the ambience! For evening entertainment, pick up a copy of 'the List' from a newsagent, which will describe all the live bands, jazz, blues, pop, plays, musicals and comedy shows on over the week. For eating out, Montpeliers, Cafe Grande, Peckhams underground in Bruntsfield are all very good for eating. The Merlin is a lovely pub halfway up Morningside Road. Cannymanns is a smart pub towards the south of morningside. For kids of all ages, Dynamic Earth is an interactive expedition around the geography of the earth. 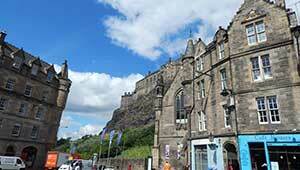 The Edinburgh Dungeon gives a great history of the city narrated by 'local legends' in character. Deep Sea World over the forth road bridge is an amazing aquarium with moving walkways through tunnels under the tanks. 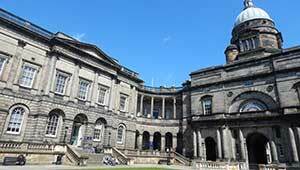 The Musuems of Scotland on Chamber Street are free of charge and well worth a visit just a short walk from both flats. Also visit Greyfriars bobby and spot the pennyfarthing...Outside, climb Arthur's seat for panoramic views of the city, over the forth to fife, down into the borders and over the Lothians to the west. The water of Leith has a lovely walk starting near to the museum of modern art and the Dean Gallery, along the banks of the burn past the Botanical Gardens and down to the dock area. Here you will find lovely bars and restaurants for a well deserved refreshment. Good buses available back to the centre of town.